Green-fly Orchid Epidendrum conopseum R. Br. 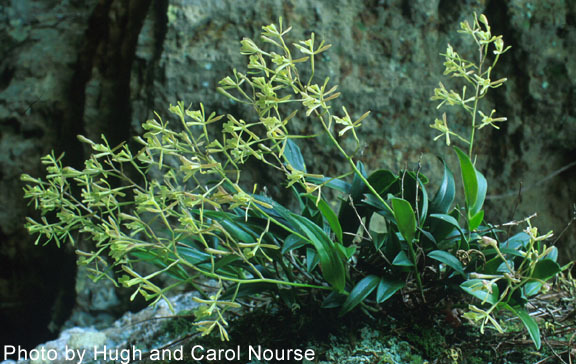 The Green-fly Orchid is a perennial herb that grows on trees (epiphytic) or rocks (epipetric). The glossy evergreen leaves of this plant can be found on shaded limbs of southern magnolia and live oaks as well as other hardwoods in swamps and on bluffs. In fact, the greenfly orchid is the only orchid found on trees in Georgia. 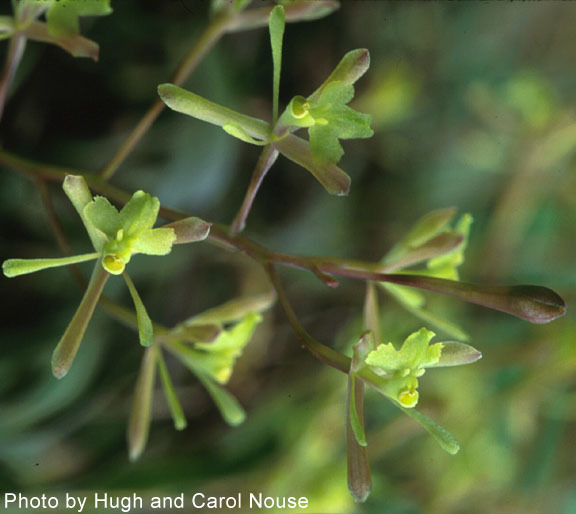 The green-fly orchid is not listed at the federal level and is listed as unusual at the State level, where it has been recorded in 20 counties in the southeastern coastal plain of Georgia. Timber harvest is the major threat to these plants.